Despite another busy weekend, we were able to mark a few more things off of our list. The list is definitely getting shorter, which makes me very happy!! 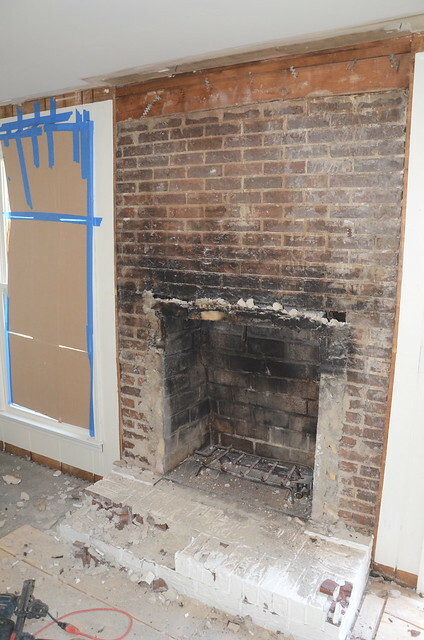 The Mason came on Tuesday and took down our brick fireplace facade. Here's what it looked like when I left Tuesday morning. Mitch snapped an in progress photo. This is what it looked like when I got home that evening. Pretty, huh? Mitch snapped some more in progress photos for me. 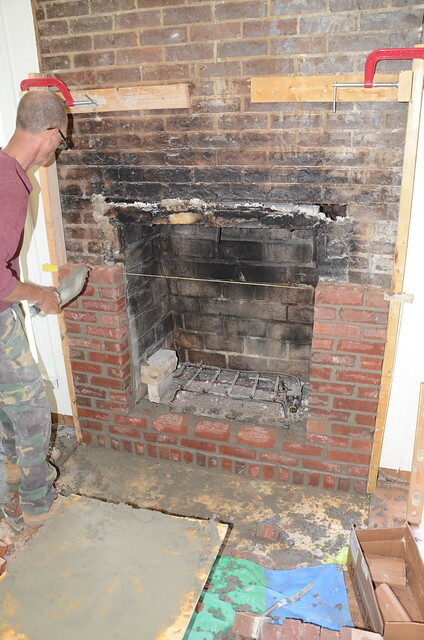 Here is a shot of the mason building a new brick surround. Here is what it looked like at the end of the day Wednesday. 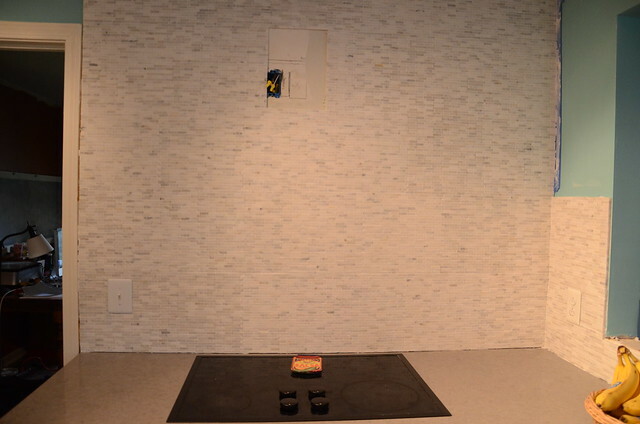 He is going to come back tomorrow to clean up the brick. 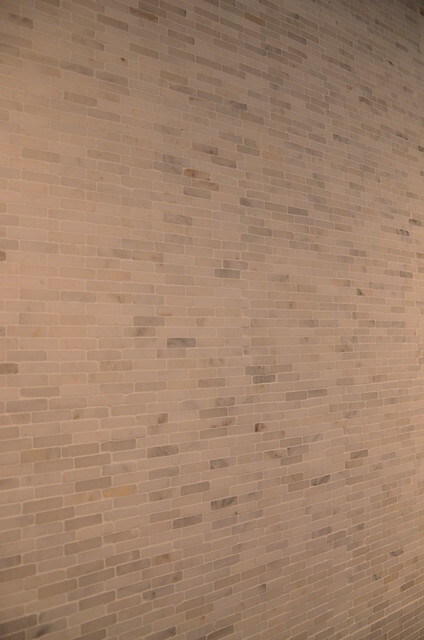 We chose some slate tiles for the floor. Mitch is going to build a wood surround and mantle. 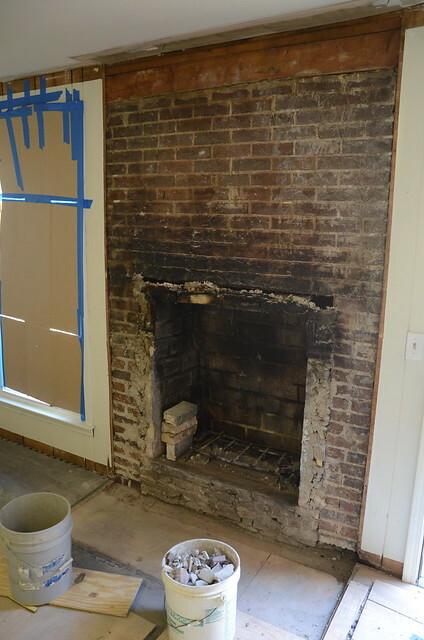 Then we are probably going to drywall above the mantle, but we are going to finish the kitchen first. 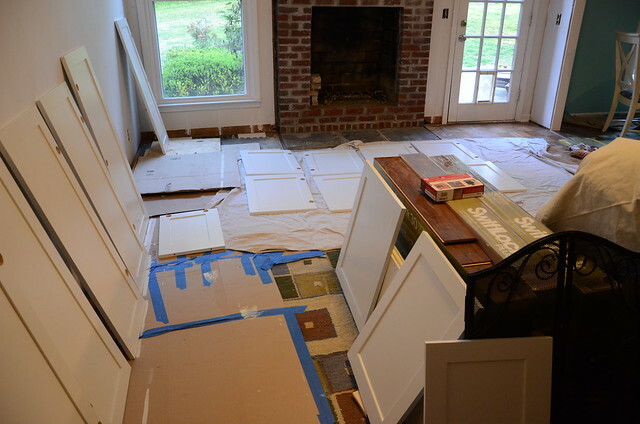 I spent Sunday afternoon painting cabinet doors. One side had been painted so I needed to prime and put 2 coats on the other side. We stayed up late last night putting a final coat on. There will be touch ups that we will have to do once they are hung back up, but for the most part I am done painting cabinets. Mitch was able to hang the doors on this side of the room. He is going to try to add the pulls and knobs some time this week. We also found a couple of hours on Saturday afternoon to grout the tile. I know it is hard to tell from the photos, but it looks so much better now. We just need to let it cure for another day or so and then seal it. Our contractor is coming on Thursday or Friday to put up the hood and trim. We really are in the home stretch. We still need to finish the butcherblock countertop, install the ledge in the opening, install the quarter round, reinstall all the doors, add knobs and pulls, and put a toe kick around the bottom of the cabinets on the sink side. 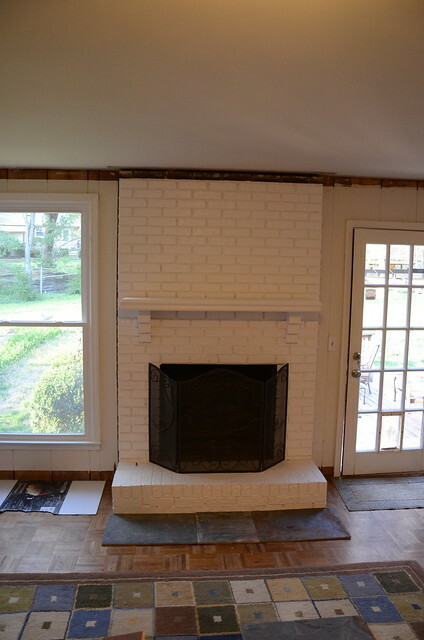 Then we move to the fireplace room. WOW you're in the home stretch. It's all looking so beautiful! You'll have to think about what is your first meal you want to cook. 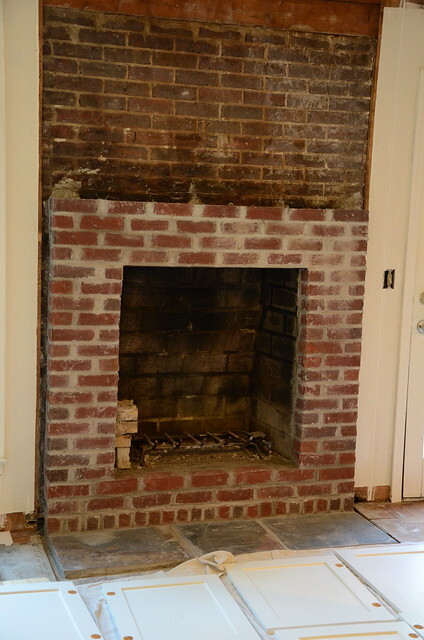 It is amazing how different your fireplace looked in one day! Wow. 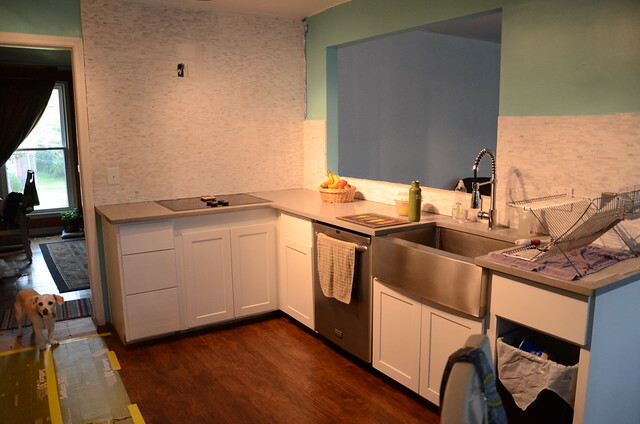 I love the walls in the kitchen. So pretty! Your place looks amazing, I love what you did your flooring. Thank you for sharing these pictures.